Purpose: To provide mental health services to low income Coloradans in a private practice setting. 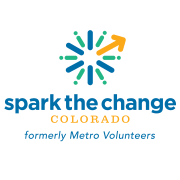 Spark the Change Colorado provides referrals to volunteers who have signed on to offer free individual and family counseling in the privacy of their professional office. Purpose: To provide mental health services to low income Coloradans in a host site setting. Services include, but are not limited to, assessments, counseling and support at partnering community agencies and organizations (host sites), such as homeless shelters, domestic violence programs, schools, and community health clinics. Volunteers in host sites may be licensed professionals as well as masters and PhD level candidates for licensure in the state of Colorado.